Sometimes you find a vintage watch that just “pops”. This 1950’s vintage 14k. 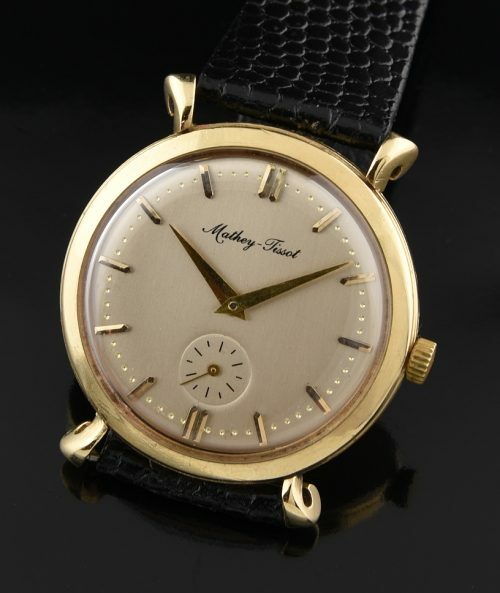 solid gold Mathey Tissot is one of them. The solid gold case with fancy curled lugs looks great, measuring 34.5x39x8mm.thin. The dial was expertly restored exactly like the original print and retains the original gold markers, Dauphine hands and indented dot markers. This watch exudes class. 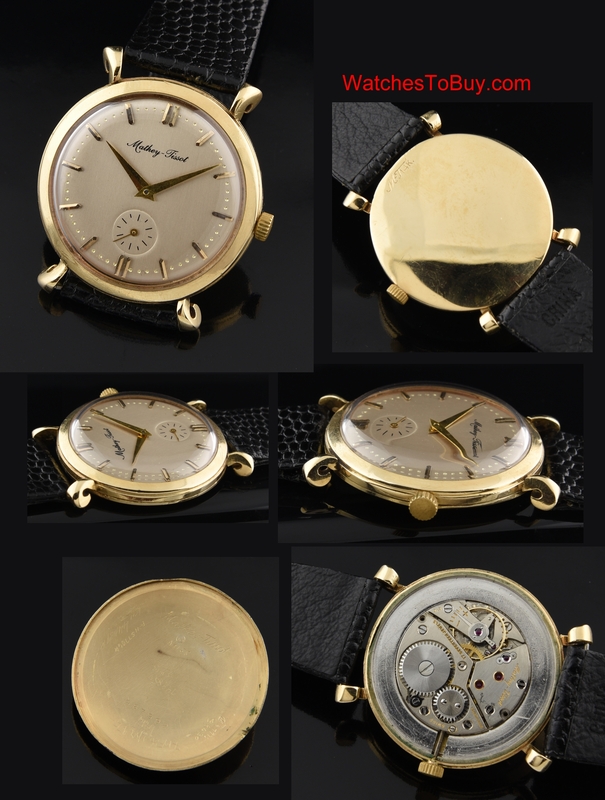 This uncommon watch will sell fast.